a thief, a robber, a murderer, a destroyer. When he brags about his peace making, it will bring on chaos and destruction as never before. No one loves you like I do. I suffered and died that you may live. So many now here in this nation, think they can do without Me. Live and die as they wish on their terms, without Me in their lives. I AM the Savior of the World, and there is noone like Me. NO ONE can redeem your sins but Me, and cloth you in righteousness as I have already done. So many will look to this counterfeit one, as the savior for all the plagues and chaos coming, but they will not have any peace. For when they say “Peace, peace”, will come sudden destruction, war and persecution. The black horse is riding, and I know you know all that comes with it. So buckle up for the ride of your life, for I AM WITH YOU. I will be with you till the end and then forever you will be with me in paradise. So hold on to the hope that is within you beloveds. For there is no other. I knew all the destruction their devices, and strategies would bring. Remember what I said ? I knew their strategy all along, I know ALL Things, and nothing is a surprise to me, like it is for you. It is frustrating to see the wicked increase, and win victories, but know that I am not apathetic as many are. I am not unable as many are to intervene. Everything is happening as prophecy foretold. Trust ME in this, that I will do ALL I’ve said I will do. Do not forsake your optimism in ME. Do not give in to the bullying, and intimidation of the enemy. I have clothed you in MY RIGHTEOUSNESS ! Which means, you have an imputed righteousness NOT of yourself, or your own doing that is valued by the Almighty One. Despite your faults, and flaws, I have paid the price. 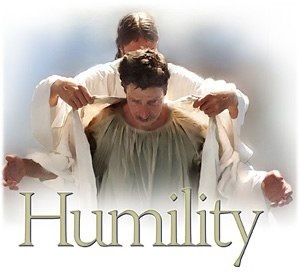 I am looking for your HUMILITY is all, knowing that you cannot always be perfect, yet knowing, and acknowledging, that apart from ME, you can do nothing, gives you entrance through the narrow gate, beloveds. None of you is perfect. I alone AM PERFECT! And I alone know & judge your heart. Some of My own get confused from all the religious spirits in the church and think somehow they have surpassed all others, and have arrived at a special place where they can no longer make mistakes. Pride has blinded them, but don’t worry about them, just keep your eyes on ME. For I will see you through all that is coming on the earth. I promised, remember? 1 Thess 1:9-10 NKJV For they themselves declare concerning us what manner of entry we had to you, and how you turned to God from idols to serve the living and true God, 10 and to wait for His Son from heaven, whom He raised from the dead, even Jesus who delivers us from the wrath to come. Luke 21:36 NKJV Watch therefore, and pray always that you may be counted worthy* to escape all these things that will come to pass, and to stand before the Son of Man." Beloveds, I want you to throw off all the condemnation the devil is throwing at you, knowing that I have made you righteous by My blood. I did not die that you would be made helpless. I died that you might live. I died that you might be made rich in ME. I died that you might have LIFE more abundantly. I saw long ago all you would do, all the decisions you would make. Know that when I died, it was to make you un-blamable before the Father. I justified you! I made you worthy to enter into the throne of GRACE and to be able to attain that which you have not labored for. I have asked you to take up your cross and follow ME. If you do that without resentment and disdain, you are walking in My shoes. You are fulfilling what I’ve called you to. I’ve made you RIGHT before the Father, that you can ask for help in time of need, and it will be taken care of. And now I am going to make a display in front of the enemy that will enrage him, for he has thought he could defeat My plan. But NOTHING can stop what I have planned to do. So look up, and hold on to confidence in My love for you, for I am making you My holy HABITATION!!! Don’t you realize that I could not have My Holy Spirit in you unless I made you clean through MY RIGHTEOUSNESS ? For I cannot dwell or cohabitate with uncleanness. Jer 25:30-31 NKJV 30 "Therefore prophesy against them all these words, and say to them: 'The Lord will roar from on high, And utter His voice from His holy habitation; He will roar mightily against His fold. He will give a shout, as those who tread the grapes, Against all the inhabitants of the earth. 31 A noise will come to the ends of the earth — For the Lord has a controversy with the nations; He will plead His case with all flesh. He will give those who are wicked to the sword,' says the Lord."